tote bag, color box, gift box, printed craft paper, etc. 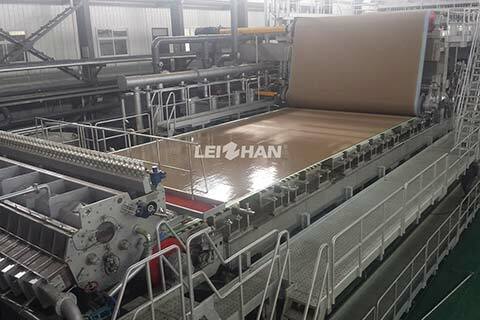 Craft paper pulping line includes top layer pulping line+bottom &liner layer pulping line. The raw material is OCC, the capacity is 300t/18h.